Current EVEntS – Former Republican Congressional Candidate, Lisa Wilson-Foley, Pleads Guilty to Campaign Finance Violations | It's the Women, Not the Men! Today’s “liberated” women, who have placed themselves on the radical, second-wave feminist juggernaut for political power, commit crimes that were, at one time, only associated with men. Ms. Wilson-Foley defines this blind ambition to a “T”, and it got her nowhere, but arrested. In 2012, Wilson-Foley was running for the U. S. House of Representatives seat in the 5th District of Connecticut, which includes Danbury. In this effort, former Connecticut Republican Gov. John Rowland made a suggestion that he would like to run Wilson-Foley’s campaign. To this end, both Foley, and Wilson-Foley, agreed to come up with an arrangement with Rowland. Now, for those of you who do not remember, in 2004, former Gov. Rowland was forced to resign, during his third term as Connecticut Governor. He and members of his administration were being investigated for corruption. Rowland was eventually convicted and spent 10 months in jail. 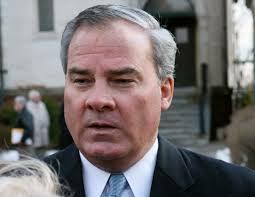 In 2012, Rowland still had important political connections in Connecticut, which could help assure Wilson-Foley’s win. But he told her that he felt that he needed to work from behind-the-scenes on her campaign. He was concerned that if he went public, his tarnished reputation may negatively affect Wilson-Foley’s campaign, rather than help it. So, rather than take the high ground, Wilson-Foley instead, had her husband, Brian Foley, 63, pay Rowland through a scam contract. The contract stated that Rowland was to be paid $5,000 a month as a consultant to her husband’s company, Apple Rehab, which is a nursing home chain. Under this guise, Wilson-Foley never reported the payment to Rowland on her campaign finance reports to the state. Wilson-Foley’s scheme was revealed when Rowland was again investigated for corruption in connection Apple Rehab. Rowland was eventually convicted of four felonies and two misdemeanors and now faces another 37 to 46 months in prison. Now, there was a time when women upheld the moral fiber of the country. But today, thanks to the influence of feminists like Wilson-Foley, feminists who have replaced the tenets of their Christian faith with the ideology of radical, second-wave feminism, they continue to prove themselves to be no better than the scum they once reviled. In 2014, Wilson-Foley pleaded guilty to conspiring to take illegal campaign contributions. She faces up to one year in jail and $100.000 in fines but prosecutors have requested a 10 month prison sentence for Wilson-Foley instead. Although there is another member of the “sisterhood” involved in this case, which would normally bode well for Wilson-Foley, U. S. Federal Judge Janet Bond Arterton has consistently been tough in conspiracy cases involving those who would govern the voting public. Perhaps, for once, the ever-present linkage between members of the radical, feminist “sisterhood” will proof to be illusive, and this time, I pray that justice, and the Connecticut voters, will be served.